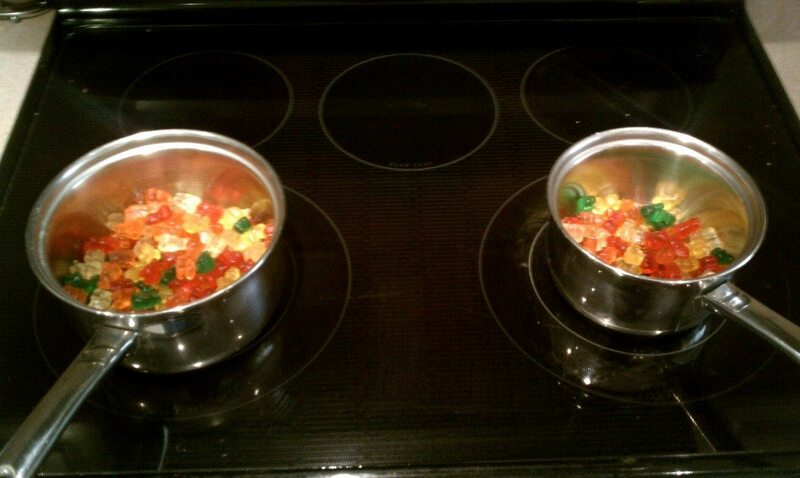 I once tried to make a giant gummy bear by melting down smaller gummy bears and pouring them into a mold. It did not go well. 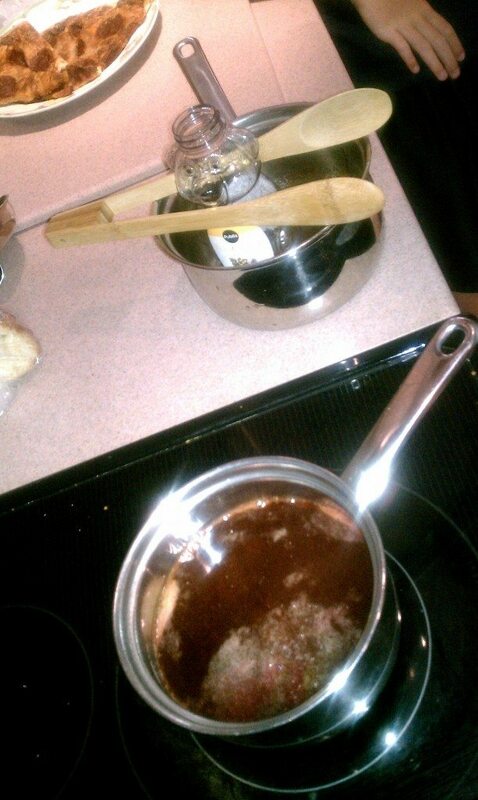 I started by melting down some gummy bears. I wanted to use a single color, but I would have had to buy tons of gummy bears to get enough for a single color. Unfortunately, mixing all the colors together results in a sickly dark red/brown color that really doesn’t look very appetizing. 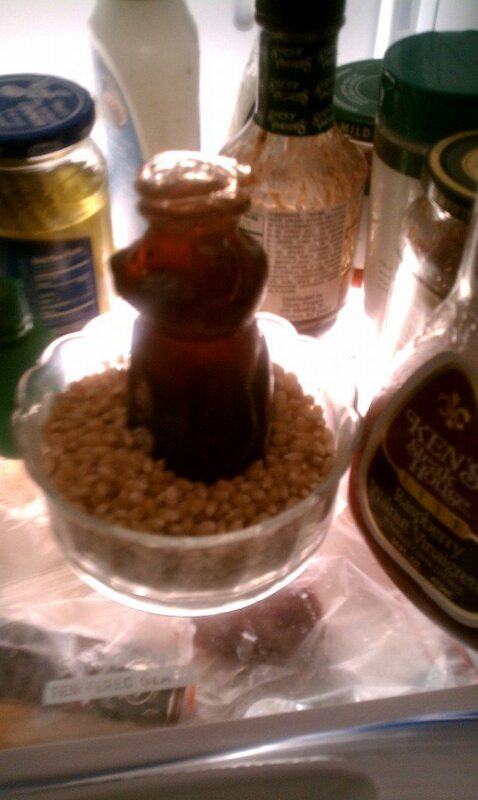 I used a honey container (since it’s in the shape of a bear) to pour the molten gummy bear in. I coated the inside of the mold with vegetable oil to act as a mold release. The liquid gummy bear was extremely dangerous. It was very very hot and sticky, so basically napalm. As I poured the solution into the plastic mold, it started to melt the mold. The caused two problems. 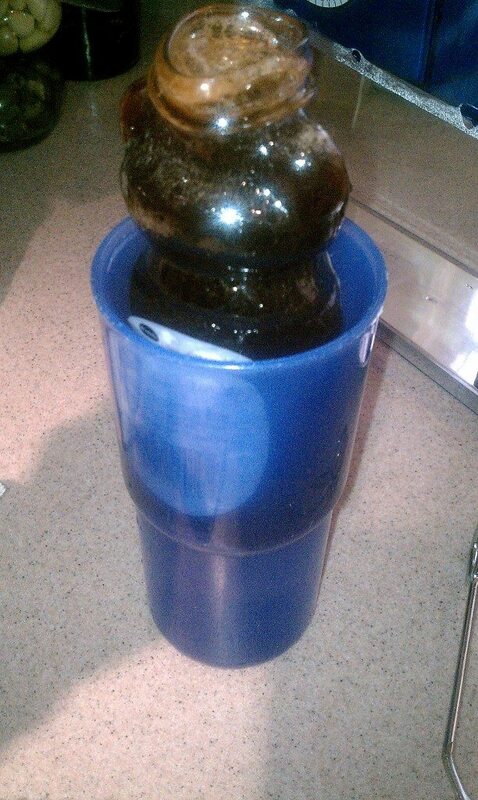 First, it made the bottom of the container not flat, so it wouldn’t stand up on it’s own. 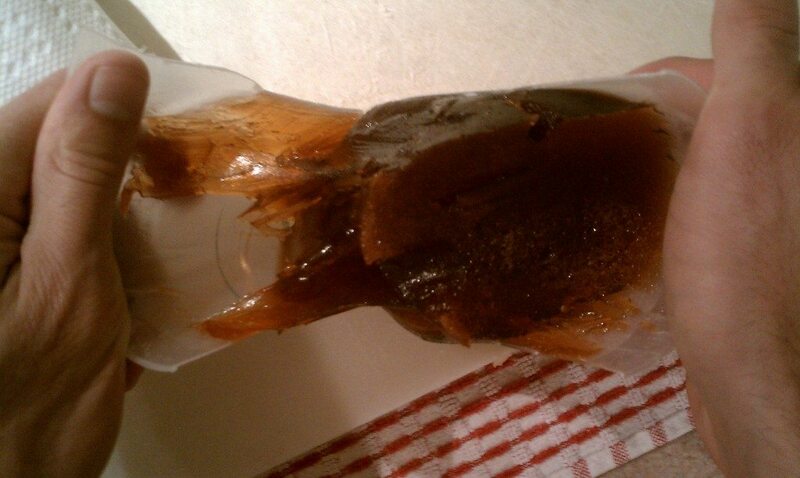 Second, the plastic sunk inward and reduced the volume of the mold, so molten gummy started oozing out of the top. I also had a bunch of gummy left over, so I poured it into a cup. Here you can see the deformed top. 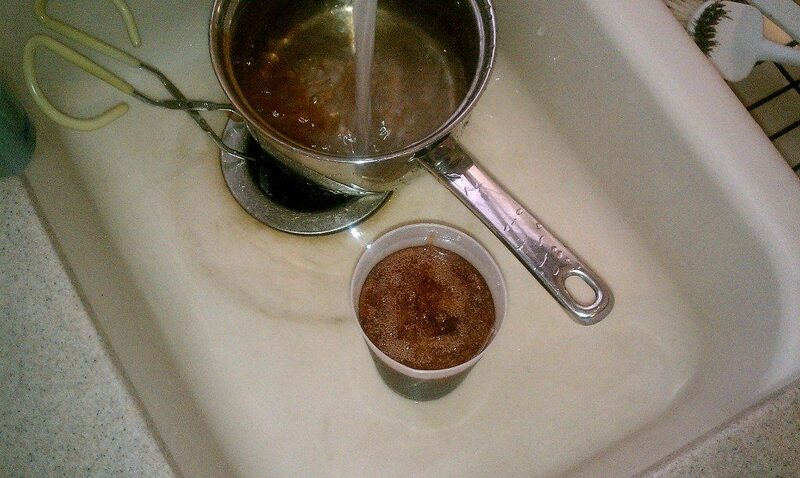 I had it sitting in a cup so it wouldn’t fall over. Once I got the gummy poured in, I put it in a bowl of popcorn kernels so it would stand up straight and put it in the fridge to cool. So what did it taste like? Terrible. A handful of gummy bears is good. A dense block of gummy, even in small quantities, is disgusting. You make the mold using corn starch. You make a positive mold, then push it into the corn starch to make the negative. 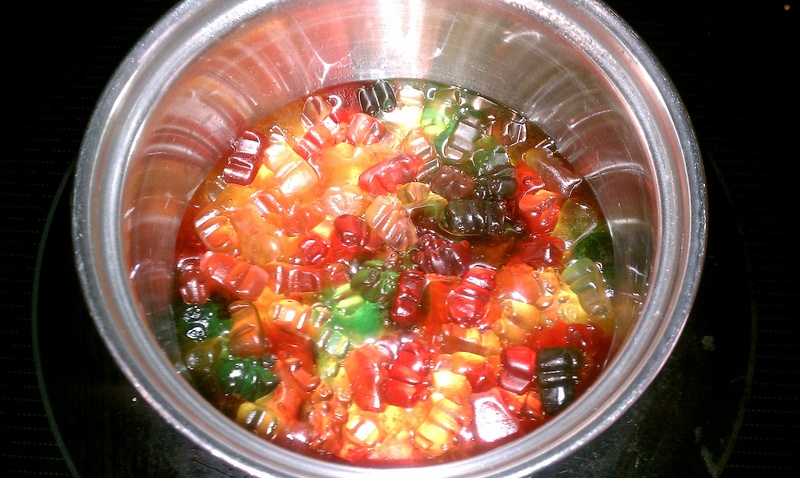 Pour the gummy mixture into it. The video coated the finished product with beeswax (tumbled).